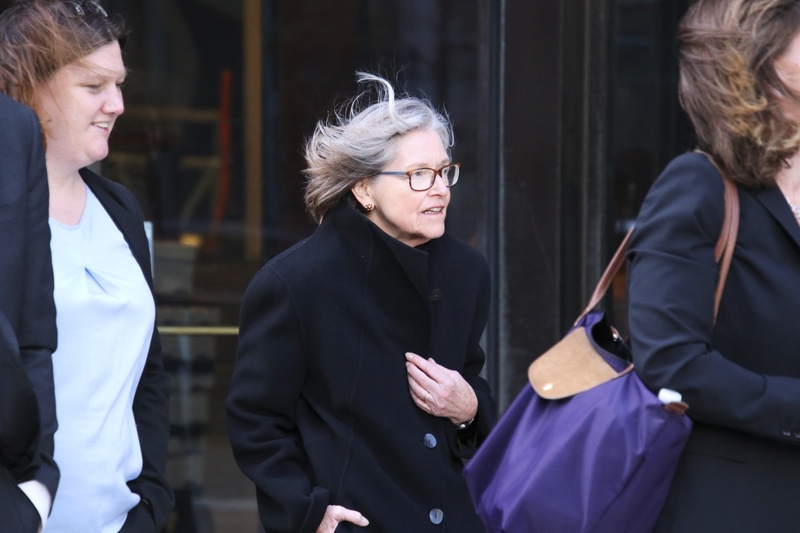 Director of Admissions Marlyn E. McGrath '70 exits the courthouse during the second week of the Harvard admissions trial. On the penultimate day of the Harvard admissions trial, Director of Admissions Marlyn E. McGrath ’70 faced grilling over how and when the College adopted unprecedented written rules detailing how admissions officers can use race to evaluate Harvard hopefuls. McGrath had previously testified that no such rules exist. Under cross-examination a week ago, McGrath — who has served as admissions director for more than three decades — repeatedly said Harvard has never produced written guidance telling application reviewers how they can weigh race when calculating the “personal rating,” one of several metrics the College relies on to assess high schoolers. Not even “a post-it on the coffee maker?” Adam K. Mortara, a lawyer for Students for Fair Admissions, the group suing the University over its race-conscious admissions policies, asked at the time. “In written form, no,” McGrath said. That didn’t turn out to be fully true. The provision had never before appeared in writing in Harvard admissions paperwork. Mortara spent much of Thursday quizzing McGrath on why she said before that no written guidance existed — and on how the new rules came to be. McGrath admitted Thursday that Harvard added rules on race “in more recent reading instructions,” which the school produces every year. She said the reason she originally testified no such guidance exists is because she assumed she should consider only procedures released between 2012 and 2014. Most of the exhibits submitted in the trial date to that period, as do the documents McGrath used to prepare for her testimony, she said. “I was not, in my answer to you, referring to anything more current than that,” McGrath told Mortara Thursday. 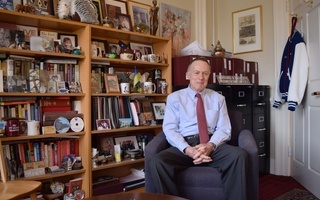 The way the College assigns personal ratings forms a key and contentious issue in the three-week-old admissions trial, itself the latest development in a four-year-old lawsuit leveled against Harvard by SFFA. 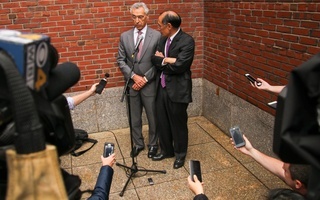 A series of email exchanges presented in court Thursday offer insight into how Harvard decided to add race to its 2023 reading procedures. Admissions staffers started pondering the change as early as August of this year, some time after they participated in an annual retreat meant to help them prep for the upcoming admissions cycle. McGrath noted in court that Harvard updates its reading procedures routinely. “We make changes every year, some large, some small,” she testified. On this scale, the addition of race-specific guidelines clocks in at “moderate,” McGrath said. 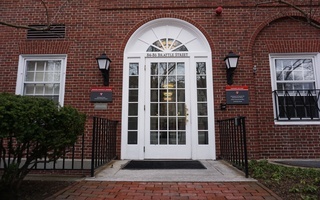 Race first earned a direct mention in a draft of the 2023 guidelines that Associate Director of Admissions Christine C. Mascolo ’00 sent to McGrath and other admissions officials early this fall. 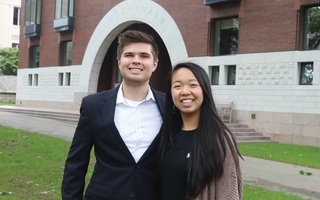 Mortara presented a copy of the draft dated Sept. 11 that contained four new sentences instructing admissions officers how to assign overall and personal scores. Someone had marked up the document with a thick black marker — though the suggested changes were mostly grammatical. Under a later section specifying how to assign these ratings, the document goes into much more detail. Harvard officially learned that it would face off against SFFA in court when Allison D. Burroughs, the judge presiding over the case, ruled on Sept. 28 that the case would require a trial. All the language in the Sept. 11 draft regarding race and applicant ratings made it into the final draft — except for one provision. 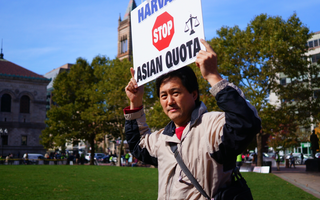 Harvard cancelled the suggested rule declaring that admissions officers cannot consider “the fact alone” of an applicant’s ethnicity. She also repeatedly stated that she did not remember at what point she first read various iterations of the reading procedures. When Mortara showed her copies of the emails, McGrath replied that she “think[s] she did not” read some of the attached drafts.